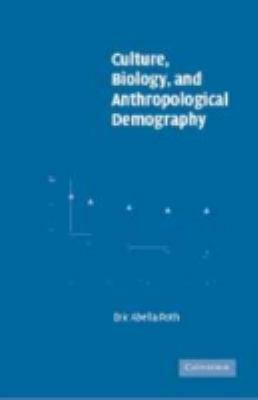 Culture, Biology, and Anthropological Demography attempts a rapprochement of two distinct approaches to studying human anthropological demography and human evolutionary ecology. It does so through recognition of common research topics and the construction of a broad theoretical framework incorporating both cultural and biological motivation.Roth, Eric Abella is the author of 'Culture, Biology, and Anthropological Demography', published 2004 under ISBN 9780521809054 and ISBN 0521809053. Loading marketplace prices 11 copies from $53.99 How does the rental process work?